CUBE4x4x4, Augertenstrasse 68, Mannheim, Germany. Nov - Dec 2012. 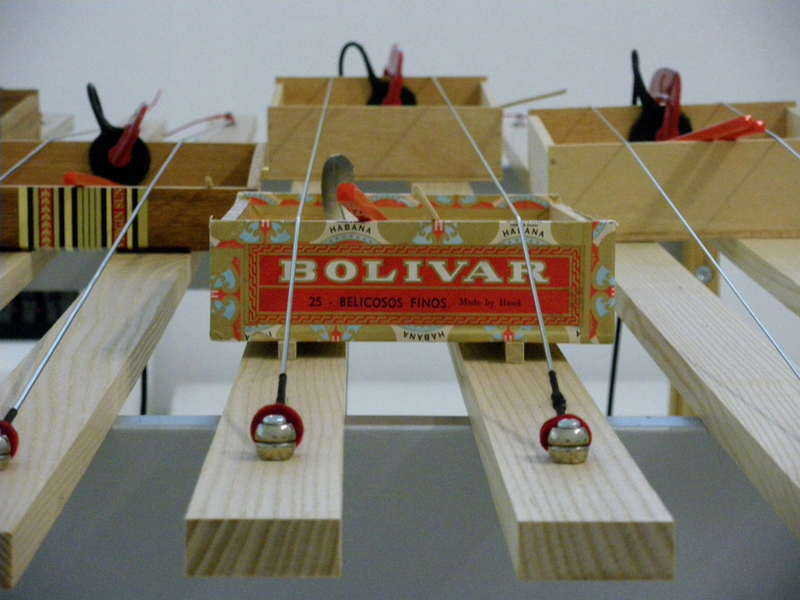 SOUNDLAB was site-specific and referenced the prior use of CUBE4x4x4 as a cigar factory. 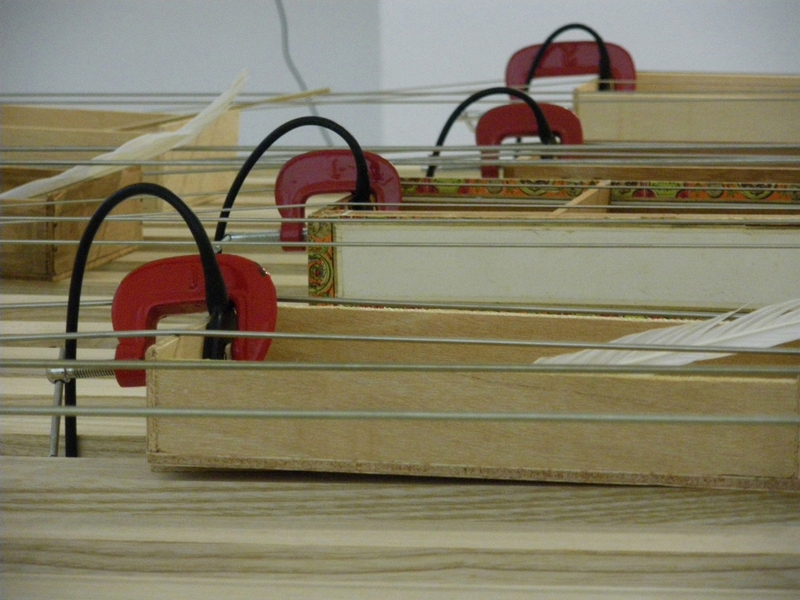 This knowledge led to researching the aesthetics of Cigar Box Guitars and their acoustic resonant properties. 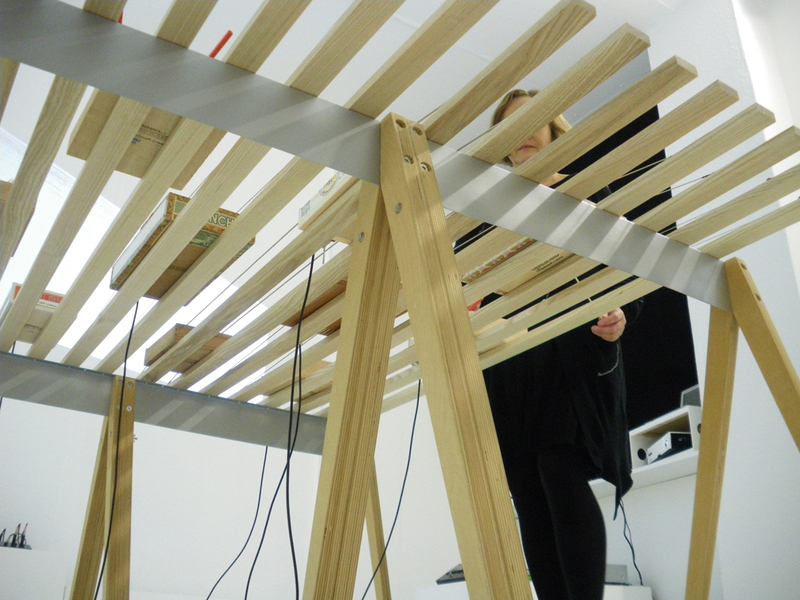 This deconstructed interactive ’instrument’ includes amplified double bass strings stretched across horizontal wood structures, which are bolted to trestles. 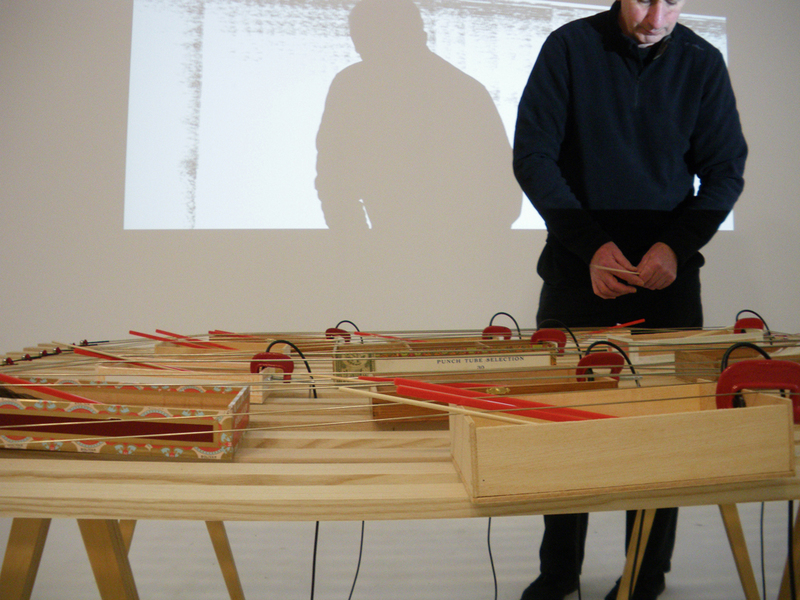 The resonating sound boxes are formed by an assortment of cigar boxes amplified by contact microphones. 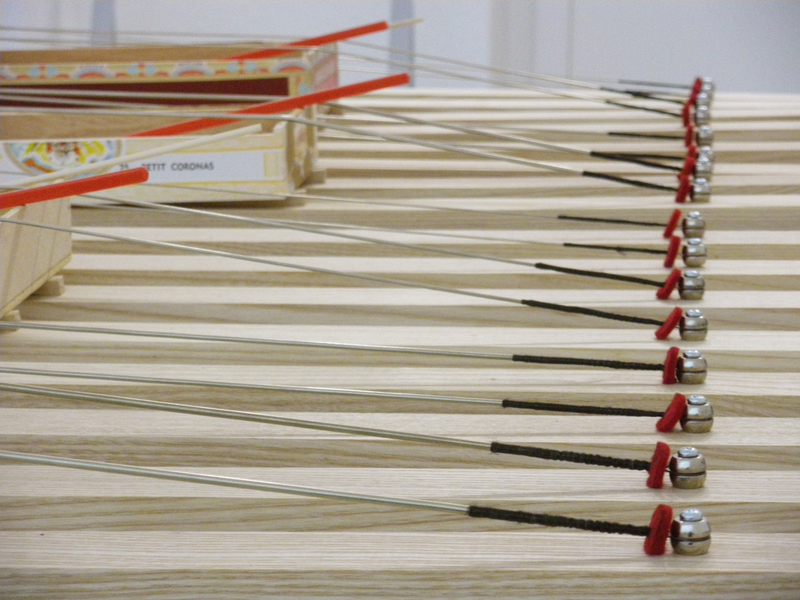 An awareness of Cornelius Cardew’s Scratch Orchestra and his ideas concerning democratic sound production, have been of interest to me since 2009. 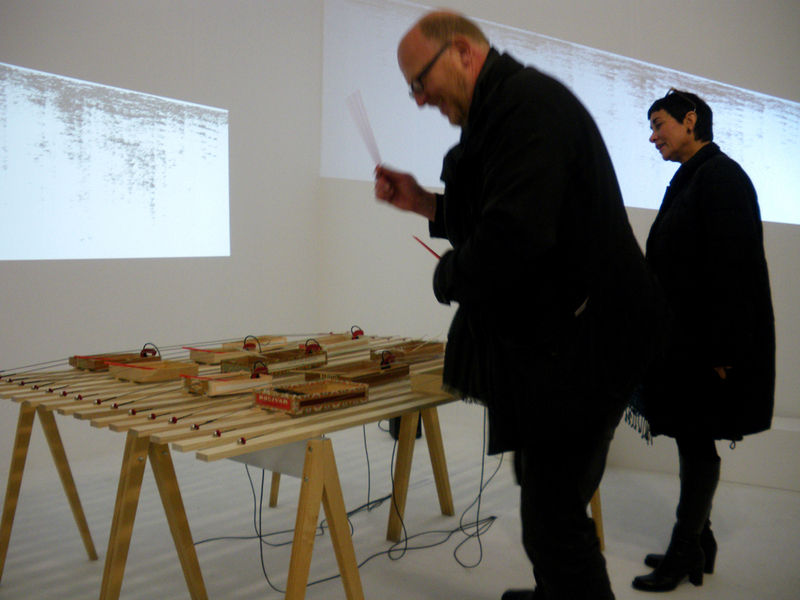 This led to further developing the interactive aspect of my sound frequency installations. 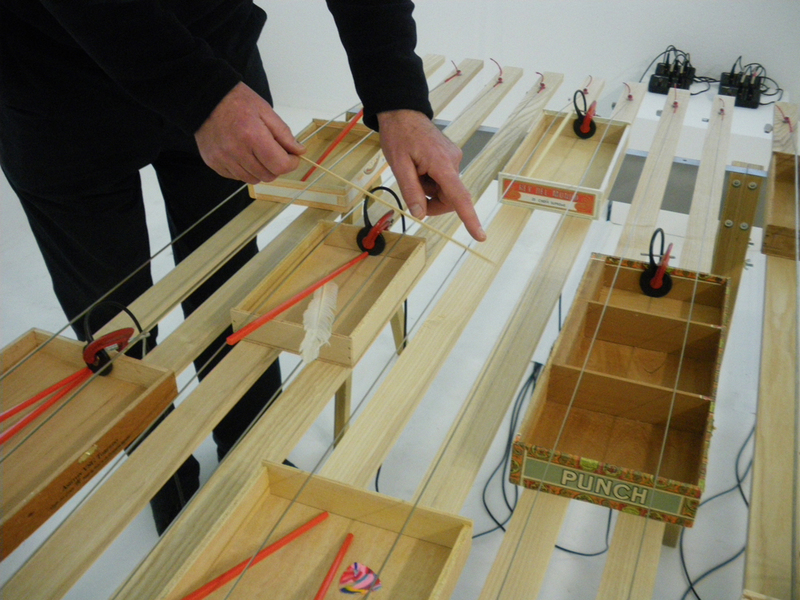 Various objects including chopsticks, barbecue sticks and feathers are seen being interacted with by visitors to create sound - through tapping, plucking and drumming the amplified strings or sound boxes. 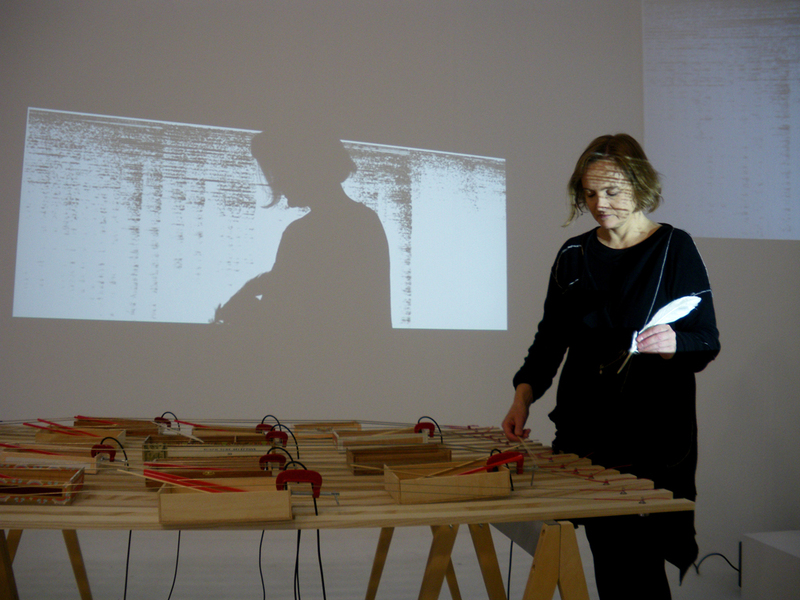 The sound frequency program then responds to these sounds as live projections on the walls forming an interactive musical score. Participating coLaborators in these photos include Paul Malone, Stephan Wolter and his wife, Serena Amrein with Roman Bohn + friends, and Friedrike Balke. 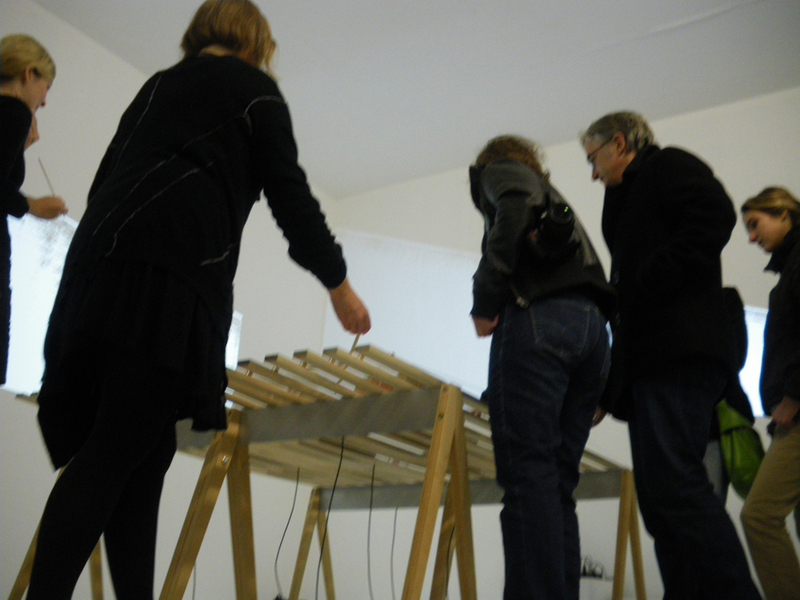 Many thanks to Blanka Heinecke for supporting this installation at Cube4x4x4: and also to Jez Riley-French for the quality of his contact microphones.